© Annie Richards. All rights reserved. 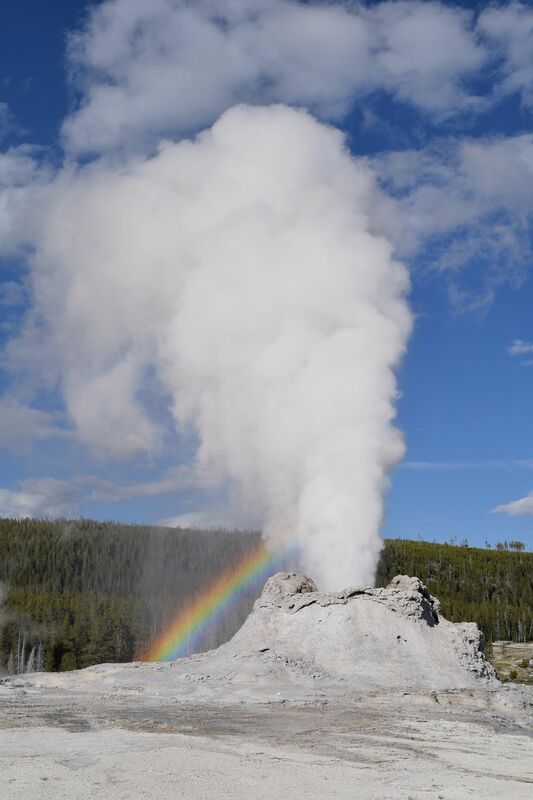 Castle Geyser spews steam at the end of its eruption cycle and produces a rainbow off to the side. Date Uploaded: Oct. 17, 2017, 7 p.m.